Bring on the end of the year parties! The school year is coming to an end, how will you celebrate? With a school field day of course! Here you will find the top 8 field day rentals for elementary students. These items are fun for all ages and will provide hours of entertainment. Whether you’re hosting an open house, graduation, alumni homecoming, fundraiser or something else, we’re sure you’ll appreciate our immaculately clean equipment and extraordinary service from the time you call us to through the time our Eventioneers return to pick everything up. Seriously, get your committees together, plan your budgets, set your dates, and reserve our services of course! Your guests can run, jump, crawl, play, climb, and bounce the day away, while visions of sugar plums dance in their heads with our Candyland Village! 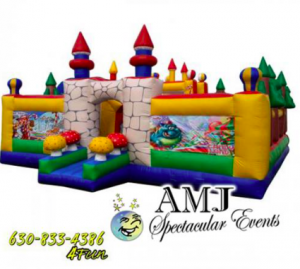 This decorative inflatable playland will instantly bring a festive feel to your party and will get your guests into the holiday spirit! 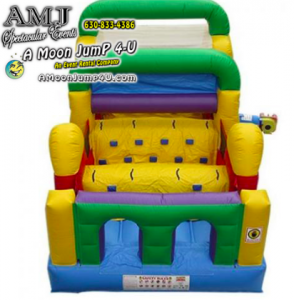 Or rent our 28″ obstacle for kids 10 and younger. Grab a buddy and try our 28ft obstacle course. Race your friends through this challenging course. See who is the first to get to the other side and win! It’s a super crazy time of year. Let us do it for you. 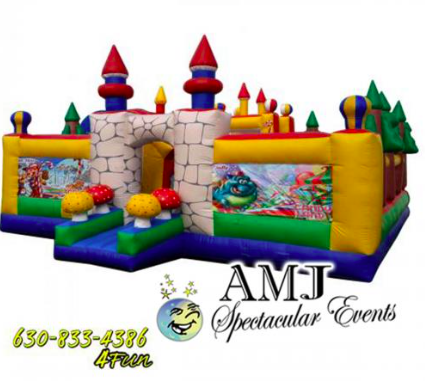 We can do booths, games, rides, entertainment… and bounce houses too! We have packages for sports or field days. We have one for water slides. 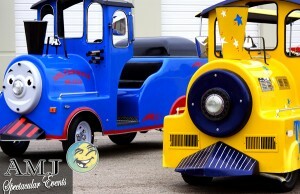 We have several different complete carnival packages depending on the size of your group…. Field days, blacktop carnivals, and school parties seem to make the last month of school fly by. Schools that are looking for a fun treat for their students can take advantage of trackless train rentals to end the year with a bang. Give one of our event planners a call today and let them help you plan one spectacular field day!